Neil L. is a Leprechaun. He has graced these pages before. 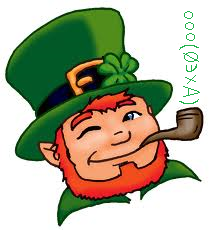 Today, the day before St. Patrick’s Day, we ponder universal riddles of existence. Ken, who will visit me this coming week, insisted on reporting what happened this morning. I woke up early, walked alone into our living room, and was amazed to see Neil already here. He was looking out the window at dawn sunlight flooding over St. Patrick’s Cathedral and the many other landmarks we can see from our apartment in midtown Manhattan. Spring has at last given an earnest of coming. The scene was transfixing, exhilirating, all the glory of nature except for the green-clad little man puffing his pipe with his back to me. He turned and tipped his hat to me but then turned back to the window. I wondered if I had caught him in meditation. I stood back until he turned a second time. He had always visited me late on the evening before St. Patrick’s Day, or the morning of it. He gave me a long stare but warmly, not hostile. Then I understood. The Romans have their Ides, the Irish have the 17th, but I got the day in between—when last year I was not here but in an operating room for long hours. “Thanks” was all I could say. I had actually come out to look up a mathematical idea for a “part 2” post I’ve been struggling with ever since posting the “part 1” years ago. This pulled me back to math, then to how Neil has always tricked me and I’ve never been able to pin him down. I realized this might be my best opportunity. He simply said, “Aye.” No tricks yet. I had my chance—something I’ve wanted to ask him for years but not had an opening for. Neil puffed on his pipe. I knew I had him cornered and moved in. To my surprise, he answered quickly. Oh. Then I realized how empty domains are treated in mathematical logic. I looked at him sharply. Neil’s sincerity was evident. I still felt bamboozled. He carried on. I was actually relieved to turn the subject back toward mathematics, as Neil and I usually talked about. I could not argue with that. This set me pondering. Whether mathematical objects exist in reality defines the debate over Platonism. But what, then, is the reality of nonexistent mathematical objects? Nonexistent objects still follow rules and aid deductions about objects that do exist. So, they too exist? Moreover, we often cannot prove that those objects do not exist—for all we know they may be just as real. Polynomial-time algorithms for satisfiability and many other problems—those are bread and butter in theory. I wanted Neil to tell me more about some of them. “By our laws and treaties they exist until your people prove they don’t. Then they have a 50-year sunset. Which means the towns have 20 years left. “It’s actually a much better system than the Scots have. Their villages of this type such as Brigadoon come back every 100 years just for one day. But Brexit may put paid to our two towns sooner. We are protected under E.U. 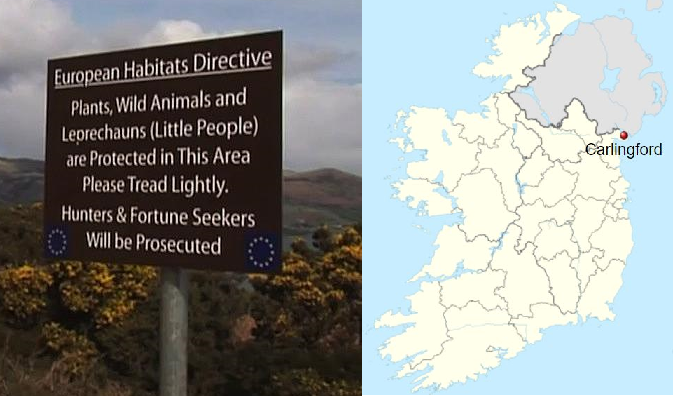 law, but those towns are just over the Northern Ireland border. I pondered: what could I ask about computational complexity that Neil could respond to in this kind of zero-knowledge way? But Neil cut in. I thought, which could he mean? I recalled the story we told about a student getting his degree for a thesis with many new results on a strong kind of Lipschitz/Hölder function even though an examiner observed that non-constant ones do not exist. Ken heard the same story as an undergraduate, with the detail that it was an undergraduate senior thesis, not PhD. The Dirac delta function? Well, that definitely exists as a measure. I forgot an obvious example until Neil said it. Of course. We posted about it. Ken had in fact once finished a lecture on Kolmogorov complexity when short on time by appealing to it. I knew by a theorem of Emil Artin and Otto Schreier that they cannot exist. But it struck me as natural that they should exist. I wondered how much one would need to tweak the rules of group theory to make them possible. Before I could react, Neil picked up a solid glass sphere art object that belonged to Kathryn. He pulled out a diamond-encrusted knife and slashed it as green light flashed in every direction until he stopped. Then from his hands he gave me two glass spheres of the same size. What is your view on the nature of mathematical reality? Do nonexistent mathematical objects exist? What are your favorite examples?